Flexeril affects the central nervous system to help create a relaxing affect in the body. This is used to help relieve the pain that comes from muscle straining, spraining or injuries. This drug is only available with prescription and is not intended for long term use, though an exception may be made for those who suffer from fibromyalgia syndrome. 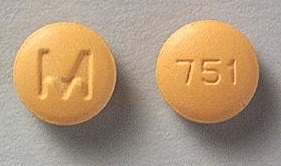 Flexeril is a brand name for cyclobenzaprine. This drug is also sold under the brand names Amrix, Fexmid and FusePaq Tobradol. This medication is prescribed to help relax muscles to alleviate stiffness, discomfort, and pain caused by muscle injuries. In most cases this medication is prescribed along with other medications and physical therapy to correct the problem. Flexeril is available in an extended release capsule, tablet and suspension form. This medication is usually taken 2-4 times a day, or 1-2 times a day if you are using the extended release capsules. Your dosing times should remain consistent throughout the day to help ensure that you are not adding too much of the drug to your system at any one time. Dosing for patients will vary based on the severity of your injury and what other medications have been prescribed to help assist your progress. You do not need to take flexeril with food, but you may need to follow your dosing with water to help ensure that it enters into your system effectively. If you are taking the suspension form of this medication, make sure you measure your dosing with an incremented cup rather than measuring with a standard spoon to ensure you get the right amount of medication. What Are the Proper Dosage of Flexeril for You? In most cases, patients will be given 5 mg of flexeril three times a day. This may be increased up to 10 mg in divided doses based on how your condition responds to the medication. Flexeril is not intended to be used for longer than 2-3 weeks at a time. If your condition has not improved in this time, talk with your doctor regarding what is the most appropriate way to proceed. Those who are suffer from hepatic impairment and elderly patients may need to restrict their dosing of flexeril to ensure that the medication can be eliminated from your body effectively. Talk with your doctor about this risk to determine the appropriate dosing for your condition. 5-10mg per day in three doses for 2-3 weeks. What Side Effects Does Flexeril Have? The most common side effects of flexeril include drowsiness which has been reported in up to 39 percent of users, dry mouth which has been reported in 32 percent of users, and dizziness which occur in up to 11 percent of users. These side effects are not serious and do not need to be reported to your doctor unless they become worse or interfere with your ability to function normally. Less common side effects of flexeril, occurring in 1-3 percent of users include indigestion, fatigue, weakness, constipation, heartburn, unpleasant taste, blurred vision, nervousness, and confusion. These side effects do not necessarily need to be reported unless they are impacting your ability to function or if your side effects get worse over time. Rare side effects of flexeril include double vision,a general ill feeling, flushing, loss of appetite, diarrhea, thirst, and gas, coordination problems, spinning sensation, increased sweating, loss of taste, tremors, insomniaand ringing in the ears. These side effects should be reported to your doctor to help determine whether or not you will require an adjustment in your medication to help alleviate your discomfort. If you begin to suffer from irregular heart rhythm, fainting, forcefully beating heartbeat, liver damage, low blood pressure,seizures, anxiety, depression, hallucinations and difficulty passing time you may be suffering from a severe reaction to flexeril. You should contact your doctor as soon as possible in order to avoid your symptoms becoming worse. Signs of an overdose of this medication include drowsiness, tremor, tachycardia, agitation, hypertension, confusion, coma, slurred speech, dizziness, ataxia, vomiting nausea and hallucinations. If these side effects begin to occur, particularly if they begin to come on suddenly, contact emergency medical services immediately to get assistance. Indigestion, fatigue, weakness, constipation, heartburn, unpleasant taste, blurred vision, nervousness, and confusion. Double vision, a general ill feeling, flushing, loss of appetite, diarrhea, thirst, and gas, coordination problems, spinning sensation, increased sweating, loss of taste, tremors, insomnia and ringing in the ears. Drowsiness, tremor, tachycardia, agitation, hypertension, confusion, coma, slurred speech, dizziness, ataxia, vomiting nausea and hallucinations. Can Flexeril Interact with Other Things? Medications that interact negatively with flexeril include atropine, bronchiodilators, glycopyrrolate, guanethidine, mepenzolate, tramadol, urinary or bladder medications, and irritable bowel medications. These may cause your body to absorb flexeril improperly. Let your doctor know about any medications that you are taking, including supplements and over the counter medications to help avoid a potentially dangerous combination. You should not drink alcohol while using flexeril. This medication slows your thinking and reaction time and alcohol increases the likelihood of these reactions occurring. You should also avoid narcotics, cold or allergy medications, sleeping pills or seizure medications with flexeril as these can also increase the chance of these reactions occurring.